Happy Thanksgiving from the Wisconsin Firearms Coalition! On behalf of the Board of Directors, I want to wish you and your family a very Happy Thanksgiving! 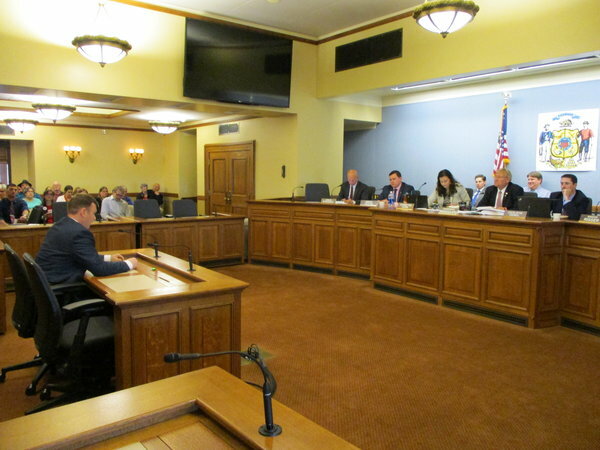 Where our gun rights are concerned, there is certainly much to be thankful for here in Wisconsin after gun owners were able to finally get the first ever hearing on Constitutional Carry. We were also successful in getting the first ever vote on Constitutional Carry when the Senate Judiciary and Public Safety Committee passed the bill 3-2! It has been a great year for sure. But this bill didn’t move on its own. It was the result of grassroots activism on the part of tens of thousands of supporters of the Wisconsin Firearms Coalition. It was grassroots gun owners like you who pushed the legislature to finally put forward Senate Bill 169 after months of stalling! It was grassroots gun owners like you who showed up at the hearing in May and testified in favor of the 2nd Amendment and Senate Bill 169. And it was grassroots gun owners like you who pushed the bill to be voted on in September, and get it to where we can finally have a floor vote! And that’s what I’m most thankful for as a gun owner here in Wisconsin, the grassroots gun owners from all over the state who are willing to stand together and fight for their Second Amendment freedoms! Legislators come and go. Legislative majorities come and go. Political headwinds come and go. But as long as grassroots gun owners stand together, our Second Amendment rights will remain secured. So please enjoy your time with family and friends today, and celebrate the advancement of our Second Amendment freedoms — and then redouble your commitment to fighting for Constitutional Carry! We’ve made a lot of progress here in Wisconsin, because of you, but we have a big fight looming when the next Senate floor session begins in mid-January. P.S. Happy Thanksgiving from all of us at the Wisconsin Firearms Coalition! Thanks to the unceasing grassroots pressure from tens of thousands of gun owners like you, we have the largest pro-gun majority in Wisconsin state history and we are moving the most pro-gun bill forward in our history! Thank you for fighting alongside us for our gun rights. Enjoy your time with family and friends today, and then get ready to continue the big fight over Constitutional Carry!